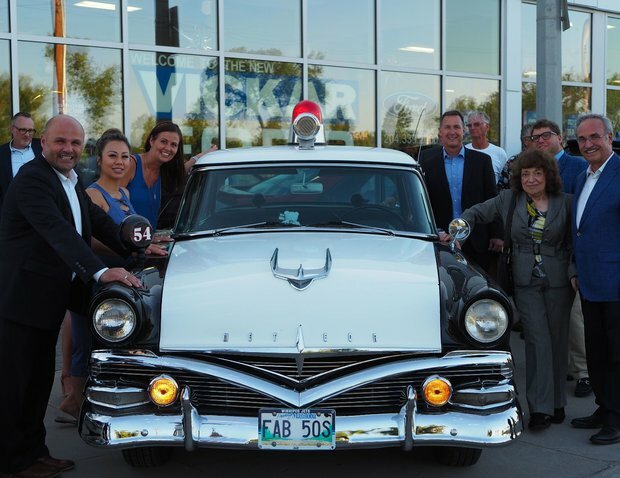 Vickar Ford, Manitoba’s fastest-growing Ford dealership, celeb rated its official grand re-opening in high style on Wednesday, July 11. More than 350 guests turned out for the evening as did a who’s who is top Ford of Canada executives including Ford of Canada President and CEO Mark Buzzell and General Manager Gerald Wood along with six Ford regional managers. Other dignitaries included local MLAs and City Councillors. “It was standing room only,” says Dominic Sacco, Vickar Ford’s vice-president and managing partner. The evening featured Fabulous ‘50s club members with their classic and collector models, entertainment by the Aboriginal School of Dance hoop dancers, or d’oeuvres, blue champagne, ice cream and a cake in the shape of the ever popular Ford 150 truck. The star of the evening of course was the newly renovated and expanded Vickar Ford. 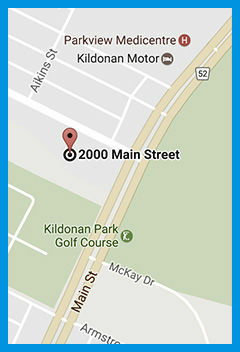 The Vickar Auto Group acquired the venerable dealership on North Main (opposite Kildonan Park) as of January 1 of last year. Among the highlights of the recently completed renovation and expansion: all interior walls have been removed; the reception desk has been relocated from the middle of the showroom to the south door; and the outdoor delivery area that was at the northeast corner of the building has been enclosed and more than doubled in size to accommodate up to six new vehicles waiting for their new owners. And, if you are feeling a little hungry, you can try out the Filipino-Canadian cuisine at San Andres Fine Cuisine and Catering featuring traditional Salvadoran food, operated by Rod Cantiveros (the founder of the Filipino Journal), at the northeast corner of the building. 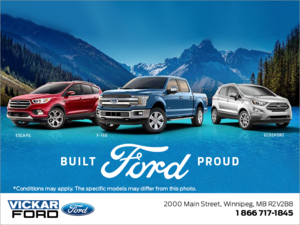 To see what you may be missing, drop into Vickar Ford - any time – at 2000 Main Street (phone 204 339-2000).